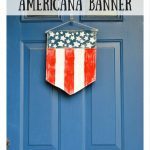 When we bought this house, we knew it was going to be a long process to fix it up to the point where we were completely happy. The bones of the house are good, but it hadn’t been updated at all since it was built. It has the added burden of being one of the first houses built in our neighborhood, so it’s quite different than most of our neighbors. The later houses mostly have double height entries, whereas ours doesn’t (but it has another bedroom, so there’s that!). 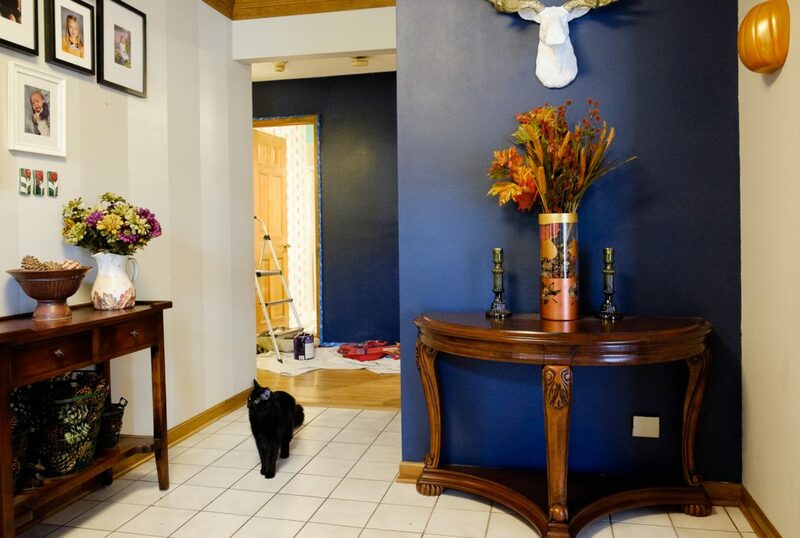 Because our entryway isn’t as grand as those around us, we’ve wanted to do something to make it eye-catching. 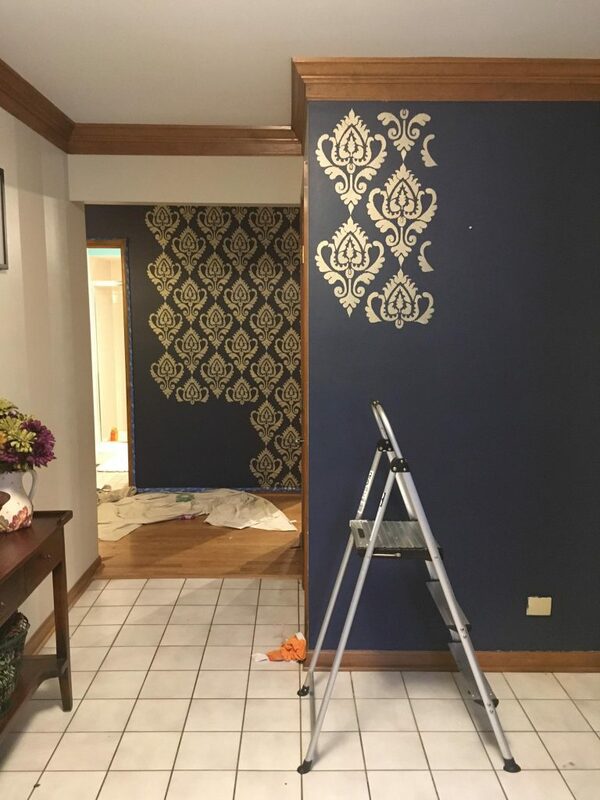 Every single bit of our house is a work in progress, but I am so thrilled with how our Metallic Stenciled Entry Wall turned out! 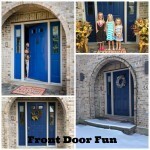 Our entry transformation started with finding the perfect blue. I’ve been obsessed with rich blues for a while now and it took me a fair bit to find one that I felt was right for the entry. 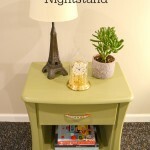 After much trial and error, we went with Behr Marquee Night Flight. 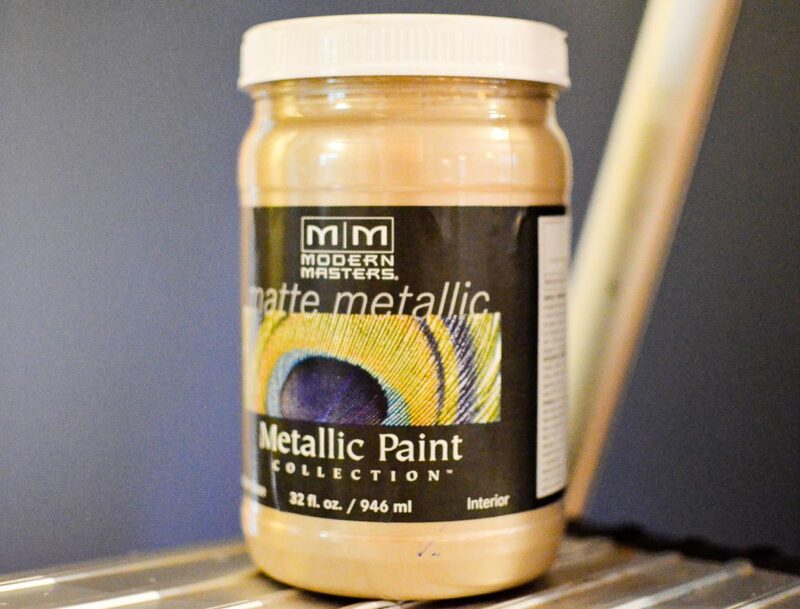 What really makes the entryway pop, though, is the matte metallic paint and stencil that we put on top. 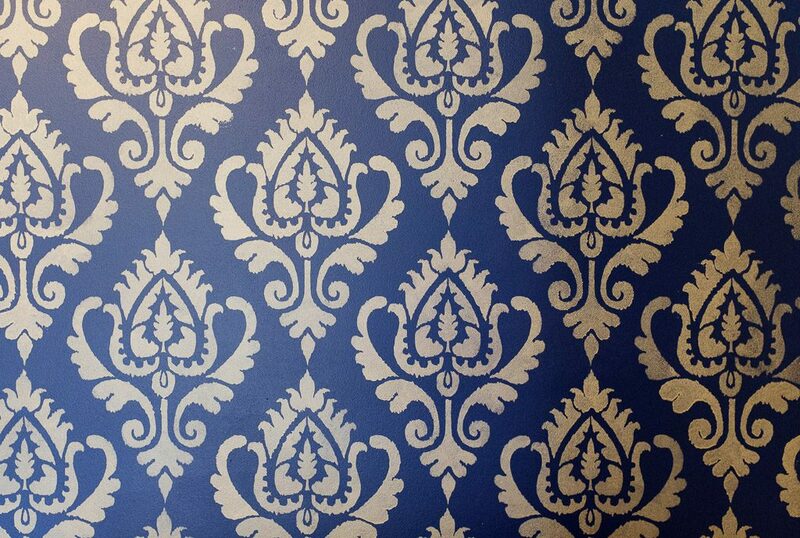 We love damask and Royal Design Studio has such a fantastic selection of damask stencils. 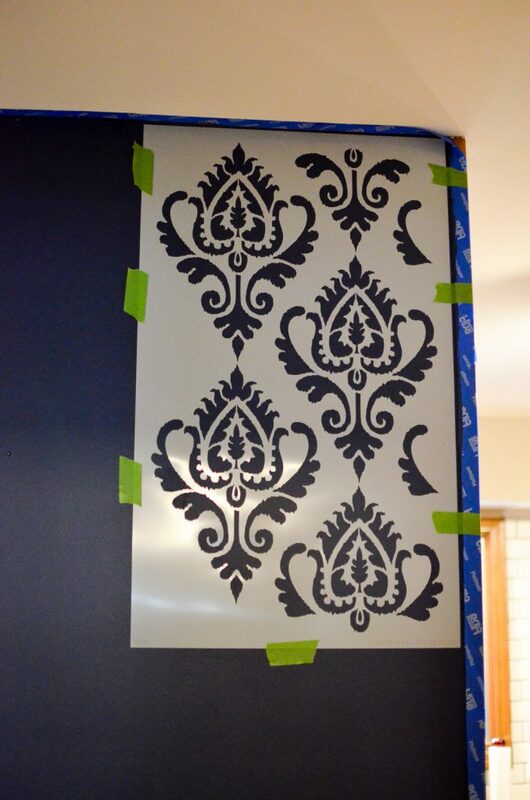 We decided on the Anika Ikat Damask Wall Stencil. 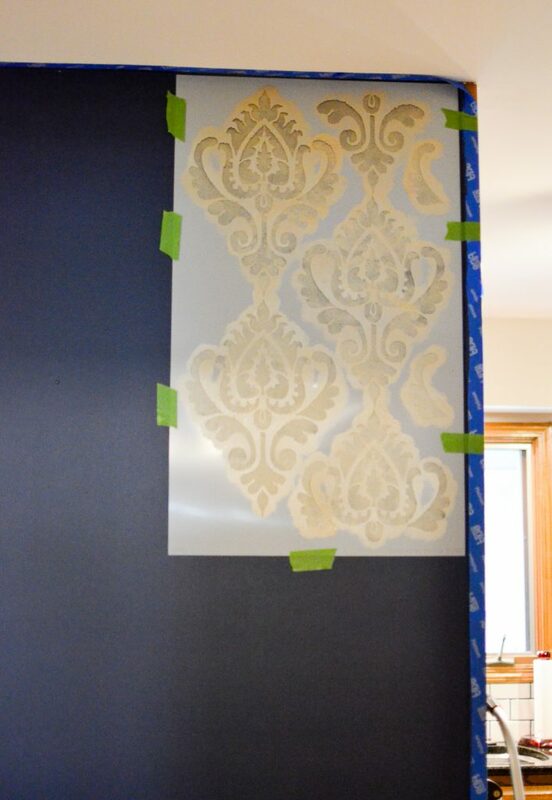 We really wanted an old-timey wallpaper feel with our stencil and the perfect paint is Modern Masters’ Matte Metallic. We went with Champagne. 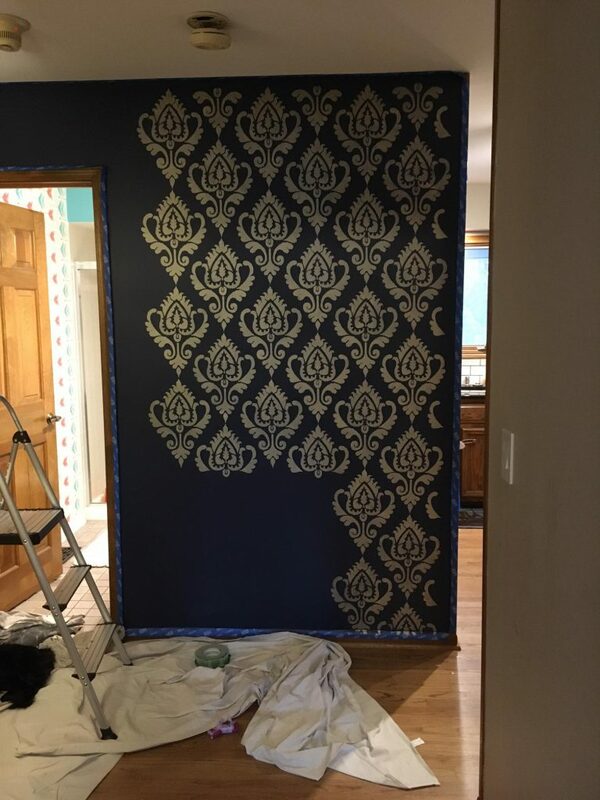 It absolutely pops against the blue wall and is so perfect with the stencil. 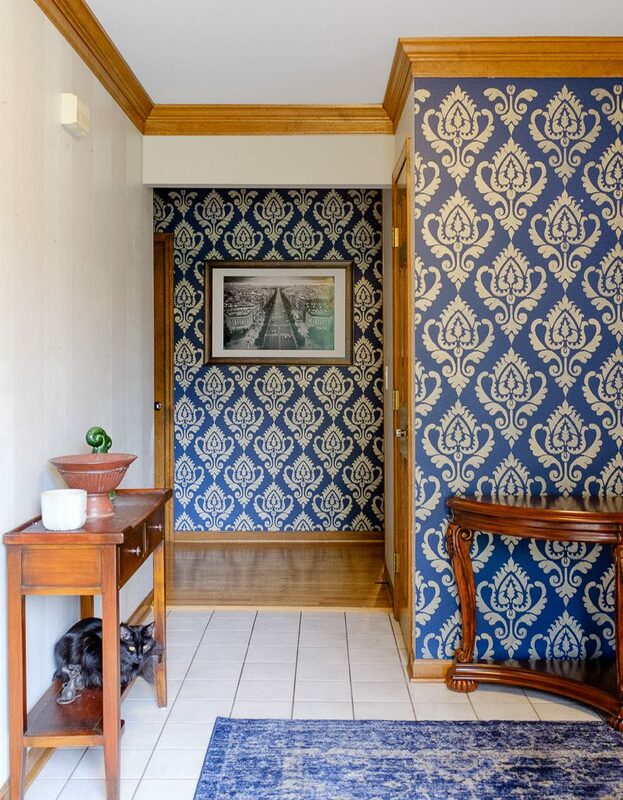 Because we wanted that vintage wallpaper look, we deliberately used uneven coverage on the stencil. I’m not going to lie–this was the most time I’ve spent on a wall stencil ever. It was so absolutely worth it, though! 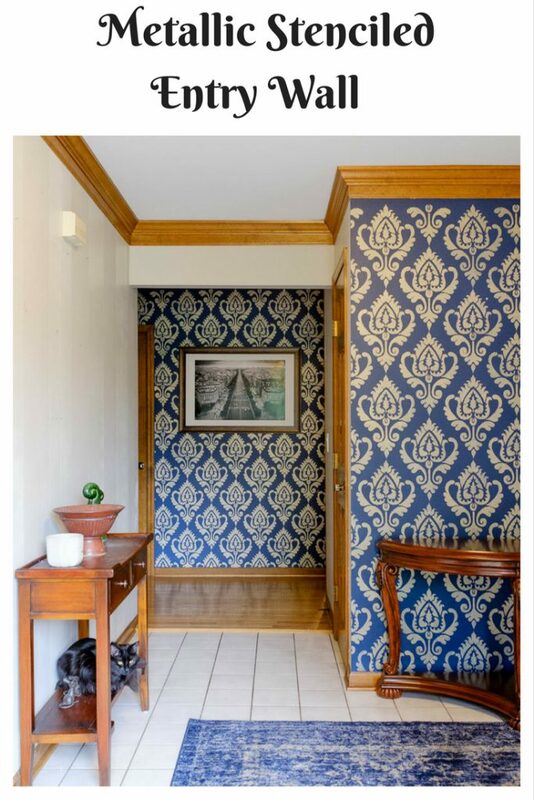 Almost every person who has come to the door has commented on our wallpaper and then asking to touch it when I tell them it’s paint. The matte metallic has the shine I wanted and changes slightly depending on the light. The slight variation in the thickness of paint gives it even more texture. 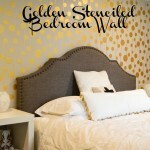 This stencil is great, too, because it has built in rough edges, which really helped with the look we were after. 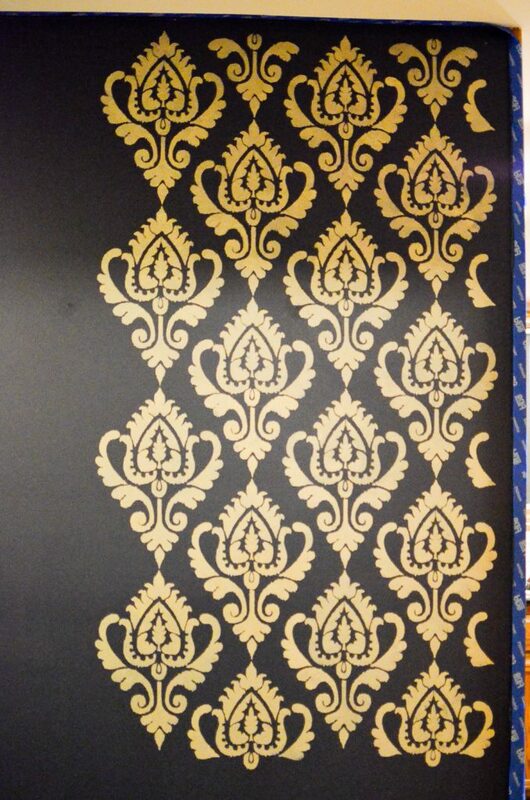 The thing I love most about our Metallic Stenciled Entry Wall, though, is that it looks fantastic on its own. 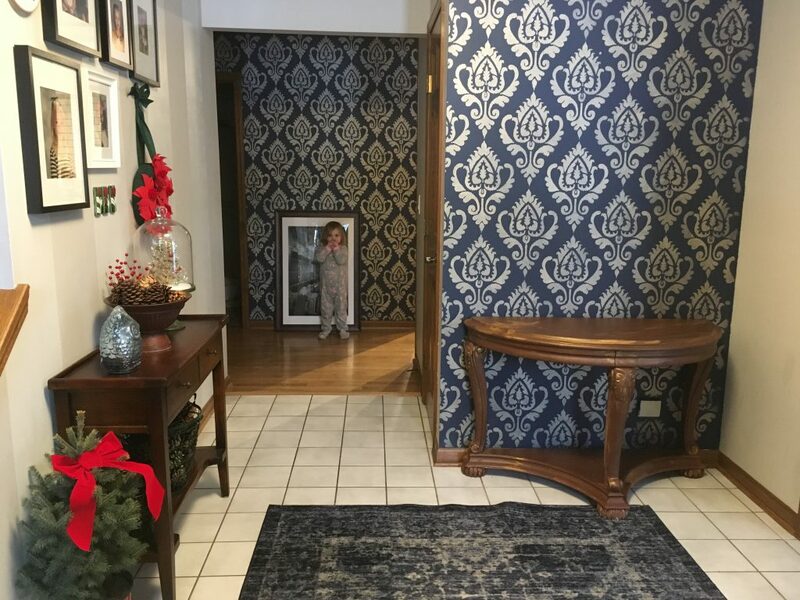 You know how much I love decorating for everything, but when I’m between decor like I am now, my entry doesn’t need anything because the walls are so fantastic and eye-catching. I couldn’t be happier with how everything turned out! Wow the walls are STUNNING! 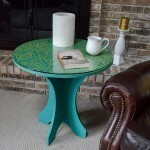 What a difference the stencil made! Gorgeous job! 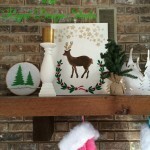 Laura / Pet Scribbles recently posted…Record family memories in this beautiful DIY Mom and Dad Journal!